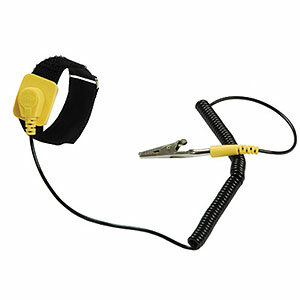 Wearing an antistatic wrist strap can prevent damaging static discharge while working on static-sensitive equipment. Our antistatic wrist strap attaches by a hook-and-loop fastener and works continuously, discharging static harmlessly as it is generated. It's a must for anyone who frequently works inside a computer. Includes a grounding cord attachment.